The Erik Buell saga has a new episode. The sale of Erik Buell Racing Assets has been denied by a judge to the only bidder, liquidator Liquid Assets Partners who made a $1.6 million offer. In a surprise announcement in April 2015 Erik Buell Racing (EBR) informed its 130 employees that the company was stopping all its operations. During a Wisconsin court proceeding equivalent to a bankruptcy court in other US states, India company Hero Motocorp – owner of 43% of EBR’s shares, acquired EBR’s consulting business for $2.8 million. Then in August, an auction was organized to sell all EBR’s intangible and tangible assets (machinery, tooling motorcycles, and parts) and accounts receivable. s I reported here on November 19th, Atlantic Metals Group, LLC from New Jersey led by Bruce Belfer acquired at auction for $2.5 million all Buell’s manufacturing assets and was required to close the deal before September 30. 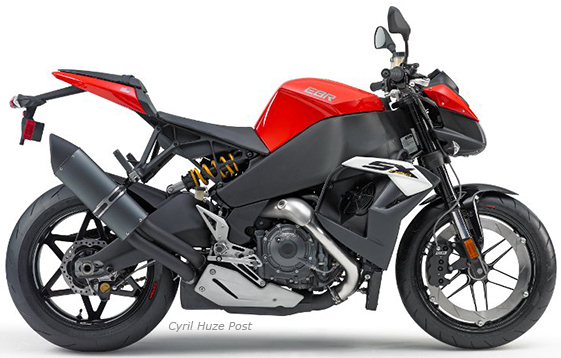 But Belfer failed to secure financing by the agreed deadline and consequently EBR assets were back for a second auction on December 10 with Belfer still stating that he was ready to bid again to acquire all Buell manufacturing assets. Before last Thursday’s auction and because there was no other bidder, Liquid Assets Partners LLC asked court appointed receiver Michael Polsky to accept a $1.6 million sale offer. Liquid Asset Partners LLC had been involved before with Erik Buell in 2010 when the liquidator sold equipment of Buell Motorcycle Co., the predecessor of Erik Buell Racing. But Bruce Belfer objected to the sale to Liquid Asset Partners, asking again more time to secure financing. In addition, a Louisiana company named US Heritage Powersport producing choppers for sale abroad informed Judge Michael Polsky that it was interested to restart Erik Buell Racing on a smaller scale but needed more time to raise financing. Polsky eventually decided to decline the offer of Liquid Assets Partners sand will be waiting for other parties to make higher offers. It is his his responsibility to look for the highest bid for Erik Buell Racing manufacturing assets to protect as many as possible of the 850 listed EBR’s creditors. So, as today, instead of being liquidated, EBR Racing may still be back manufacturing motorcycles. Published by Cyril Huze December 15th, 2015 in Events, Builders and Legal.